A soft and fluffy gyeran-jjim (계란찜) is a yummy side dish that both children and adults love. Despite the simplicity of the dish, gyeran-jjim is often the crowd’s favorite when cooked well. 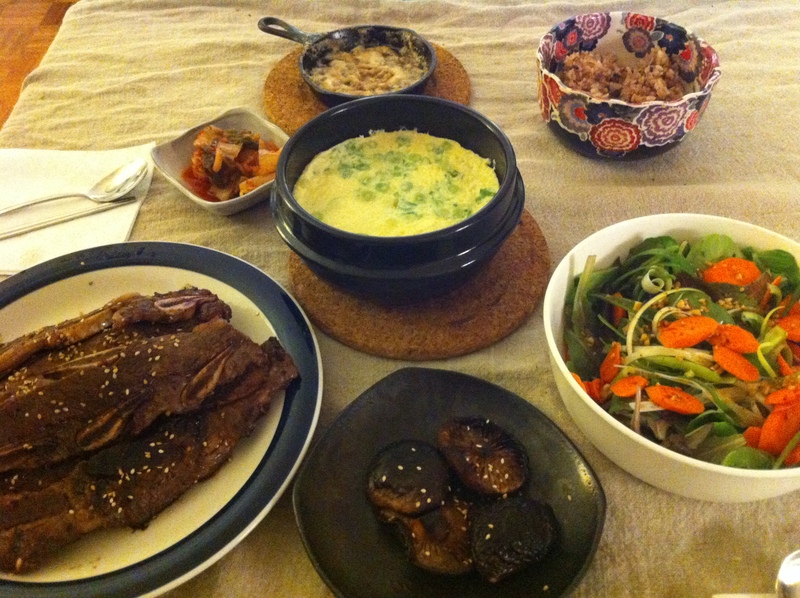 I like to make it in a Korean earthenware called ttuckbaegi (뚝배기) right on the stove as seen in Korean restaurants. You can buy ttuckbaegis in most Korean markets inexpensively and use it for any variety of Korean dishes from jjigaes (찌게, stews) to bibimbap (비빔밥). It is a must have item for Korean cooks. Also note that the egg to broth (water) ratio is 1:1 1/2 or 1:2. Drizzle a tablespoon of sesame oil and spread it around the inner surface of the ttuckbaegi with a paper towel. 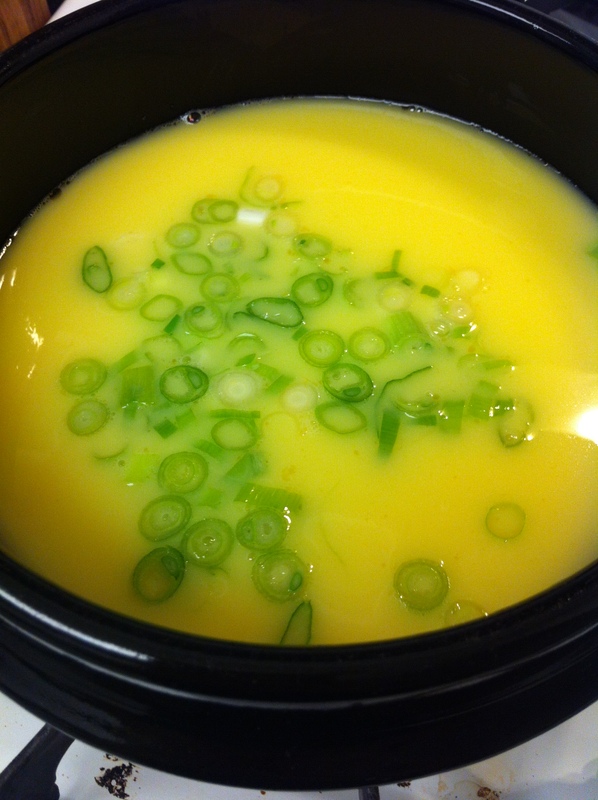 Lightly whisk the eggs in the myulchi broth or water and add saewoojut or a pinch of salt. Place the ttuckbaegi on medium heat and pour in the whisked eggs. 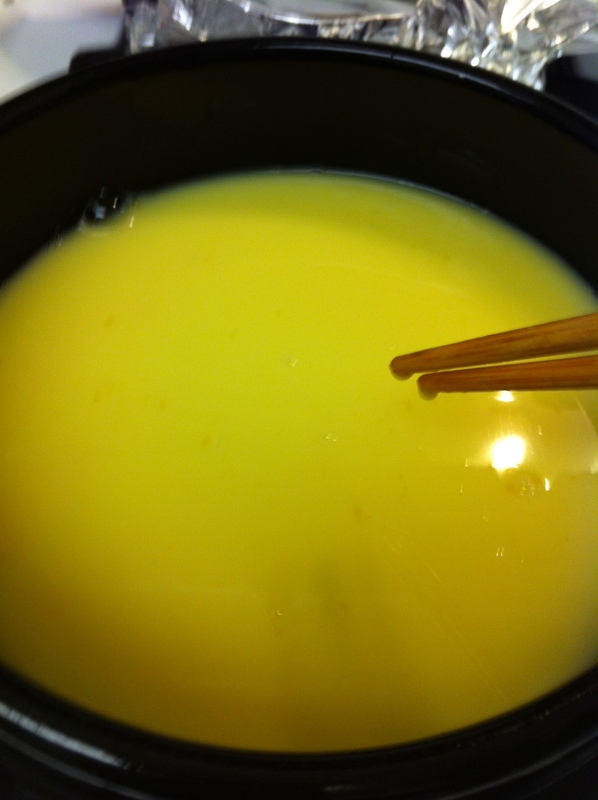 Stir the eggs with a chopstick once or twice without touching the ttuckbaegi when the edges of the egg start cooking. Sprinkle the top with the chopped scallions. Cover with a lid for about 5-10 minutes. Check if the eggs are about 2/3 cooked and if so, cover it with a lid again and turn off the heat. Let it sit for about 5 minutes covered. This will complete the cooking process and leave you with a soft fluffy egg dish. *If you are in a pinch, you can whisk in the eggs in a regular bowl and pop it in the microwave for a few minutes, which I used to do in college. This entry was posted in Banchan (반찬, Side Dish), Good for breakfast, Good for dinner, Good for lunch and tagged eggs, Ttuckbaegi by gangnamkitchen. Bookmark the permalink. 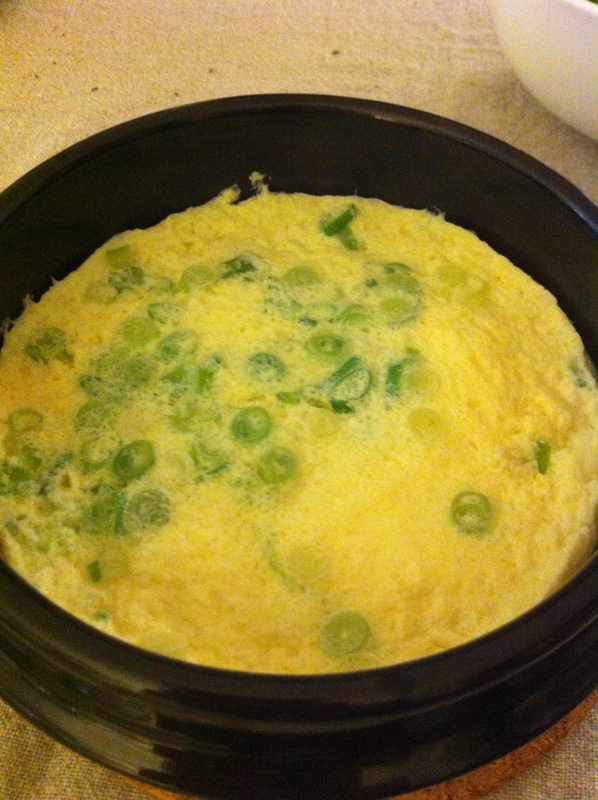 Making this now and made moo guk thanks to ur delicious and easy to follow recipe! Thompson and Chris love!